Janice Helen (Jani) Haenke (1940–2009) grew up in Ipswich, Queensland, where her family had interests in coal mining. She was educated at the Ipswich Girls’ Grammar School and the University of Queensland, graduating in 1963 with a Bachelor of Arts. 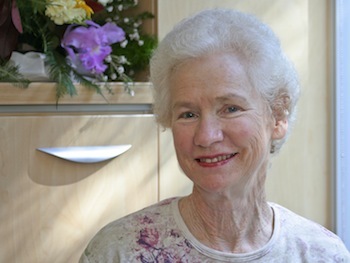 Jani trained as a librarian and completed her diploma at the University of New South Wales in 1964. She worked at various institutions in Australia and the United Kingdom. Her final position before she retired was as librarian for the Mount Stromlo Observatory in the Australian Capital Territory. Early in life, Jani was imbued with a love of music, literature and ballet by her mother, Helen, a talented poet, playwright and painter. As an adult, Jani avidly pursued these interests both in Australia and overseas. Throughout her life she travelled widely, first in Europe and in her later years in Asia and the Pacific. As a young woman she lived and worked for about three years in London. She immersed herself in the rich cultural life of that city, developing a love of going to concerts and the theatre and visiting art galleries, which stayed with her for the rest of her life. As her knowledge and appreciation of various art forms increased, she became both a discerning collector and a generous supporter of practitioners whose work she admired. Jani returned to live in Queensland in 1978 when her mother was suffering a terminal illness. Subsequently she devoted herself to patronage of the arts and architecture, and to campaigning on environmental issues. A founding member of the Friends of Stradbroke Island (FOSI), she worked assiduously to promote an appreciation of the natural beauties of North Stradbroke Island and to resist what she considered to be inappropriate development there. In her personal life, Jani lived modestly and maintained high ethical principles. She was generous in her support not only of the arts and environmental causes, but also of her family and many friends, with whom she maintained regular correspondence. From childhood and throughout her life, Jani was devoted to her series of dogs, whom she regarded as treasured family. She also developed a great love for gardening. The Stradbroke Chamber Music Festival is just one of the beneficiaries of Jani’s legacy. Jani was a personal friend and inspiration. She had a deep passion for the arts and the environment, in particular anything that involved her beloved Straddie. I remember her remarking to me after the first Stradbroke Chamber Music Festival that she was amazed at what a profound effect the concerts had on the island community, bringing all kinds of people together in such a new and enjoyable way. She was amazingly persistent in helping me keep it going – always out and about, putting up posters, on the phone to ask friends to let us borrow this or that for the concerts, selling tickets … Anything Jani believed in received the benefit of her complete dedication. Jani’s vision inspires the Stradbroke Chamber Music Festival. I am deeply grateful to have known her.